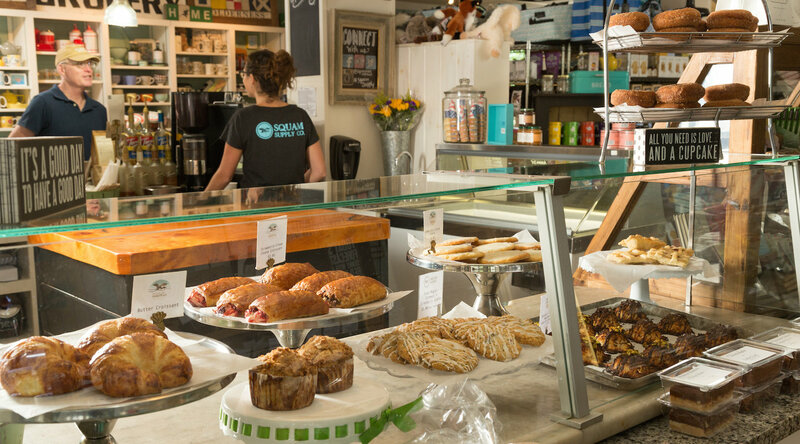 Our freshly baked goods are prepared on site each morning featuring daily specials and signature Squam Lake Marketplace treats. Begin your day with our crumb top blueberry muffin, chocolate croissants, maple glazed cinnamon rolls and our daily scones. 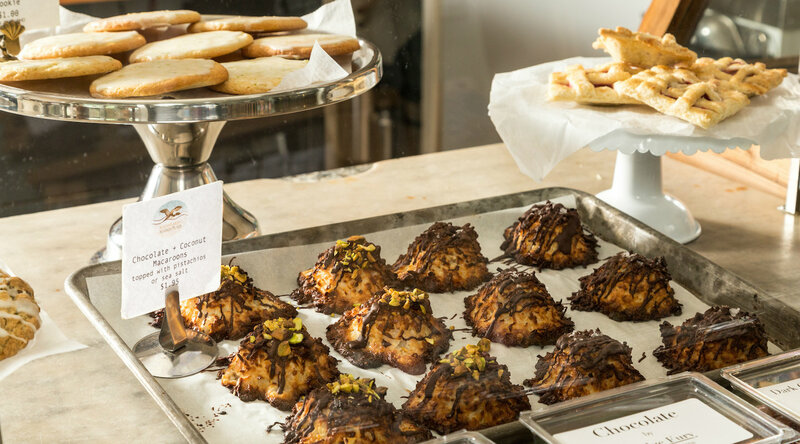 Indulge in our delicious homemade baked goods including local favorites like our cranberry pistachio shortbread, chocolate chip oatmeal and the coconut macaroon. We always have a daily dessert selection on hand including our “Live Free and to Die For” Bar, S’more Brownies, Lemon Bars or a seasonal favorite like our Marketplace Pumpkin Bar. 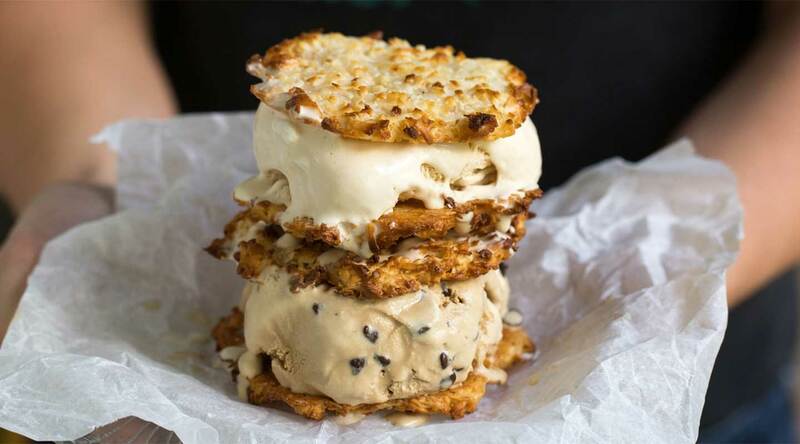 A trip would not be complete without one of our popular ice cream sandwiches. Two house-made cookies filled with hand packed local ice cream. 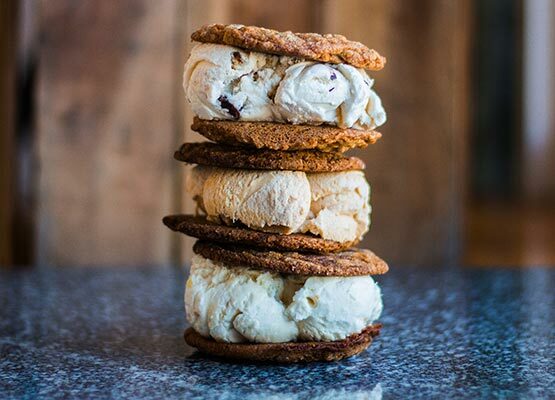 Best sellers include our Molasses Spice Cookie with Ginger Ice Cream, Chocolate Chip Oatmeal Cookie with Cow Tracks Ice Cream and Triple Chocolate Brownie with Sea Salted Caramel Ice Cream. Special orders are encouraged. Give our bakery a call at least 24 hours in advance (insert catering request form?) for freshly baked goods like our quiches, cupcakes, cookie platters, pies and specialty desserts. 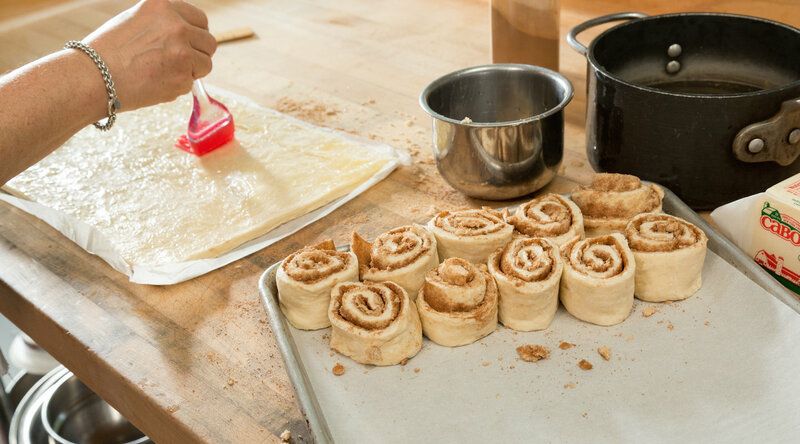 And holidays wouldn’t be quite as special without our bakery’s pies, beautifully iced cookies and specialty cupcakes that are sure to wow your friends and family. 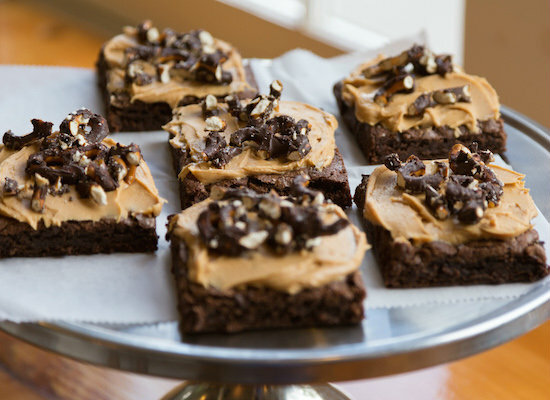 Stop in today for some of the best homemade treats in the New Hampshire Lakes region and be sure to check out Squam Lake Inn Kitchen and Bar for more delectable goodness!